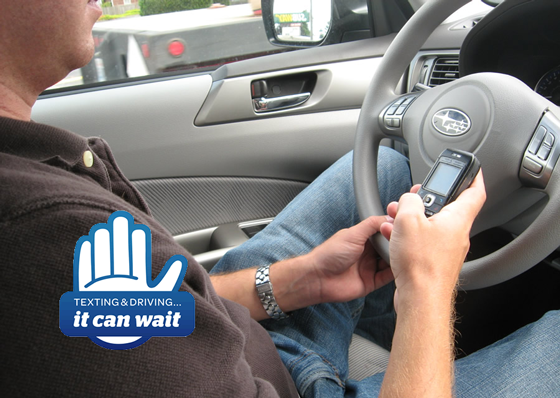 Stop texting while driving! Enter the "It Can Wait" Video Contest and win a free trip to Vegas! With the support of AT&T, sf.citi, the San Francisco Citizens Initiative for Technology and Innovation, is sponsoring a video contest aimed at encouraging people to stop texting while driving as part of the "It Can Wait" Campaign. Winners of the competition will attend the January 2014 AT&T Developer Summit in Las Vegas - travel accommodations, flights, and tickets to the Summit included. - Create the best video explaining why you should not Text While Driving. The video can be created via Vine, Instagram or Youtube (less than one minute in length) and must be submitted via Twitter by tweeting the video with #sfcitiICW. - Contest submissions can be sent from now through November 15th to sf.citi. - The sf.citi Board of Directors will vote on the top 5 videos and winners will be announced in early December. We will announce the winner and link to the video when available. sf.citi is dedicated to developing and promoting key policy programs aimed at making San Francisco a better and more productive place to live and do business. Since launching in January 2012, sf.citi is proud to taking part in several important initiatives like Job Creation, Transportation, Business Tax Reform and more.